No man is an island, TheCatCafe is deeply grateful to the support given by our partners. We would like to thank them for sharing the same passion and joy in creating a better place for cats as well as other animals. Kittycare Haven the largest boarding cattery in Singapore, is a non-profit shelter for 800 cats . Founded by Sia Ping, a passionate love cat lover, Kittycare Haven is home to many rescued strays and abandoned cats and dogs. TheCatCafe adopted most of its cats from Kittycare Haven and we highly recommend potential cat adopters to visit Kittycare Haven. Kittycare Haven also provides boarding services and pet relocation services. If you are going on a holiday or even migrating, your pets can be kept safe and happy in Kittycare Haven. 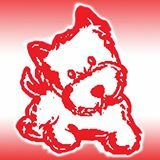 B2K Pet Products is a Specialist Pet Products Supplier, sourcing some of the best and most innovative products from around the world for all pet lovers in Singapore. Now a major force in the pet accessories market, it supplies a wide range of trusted and famous brand products to almost all pet stores across Singapore. 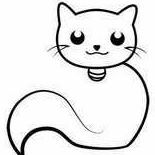 B2k Pet Product work together with TheCatCafe to create a purrfect home for cats by providing quality cat food, cat toys and other cat related products. Merrick is the top rated pet food ranked in USA. Merrick creates the purrfect meal for cats and dogs using real food – not formula food. At TheCatCafe, we believe in feeding our cats the best food as it has been proven that the right nutrition not only increases the longevity of a cats life it also helps to create a luxurious fur coat for our cats. Merrick cat food can be purchase at TheCatCafe. Feel free to contact any of our staff to find out more about Merrick cat food when you drop by our cafe. At TheCatCafe, we believe in serving only premium coffee. Hence our coffee beans supplier are carefully selected to ensure delightful cup of coffee. We get our beans from Highlander Coffee. Highlander coffee locally blend and roast coffee beans to perfection so that each cup of coffee served in TheCatCafe would bring delight your taste buds. When they are not roasting coffee beans, they would be making coffee at their coffee bar along at 49 Kampong Bahru Road. CS Ling is probably one of the best animal photographer out in Singapore. She has won multiple awards and is recognized as a Nikon ambassadors and one of the few Singaporeans who shoots for National Geographic. 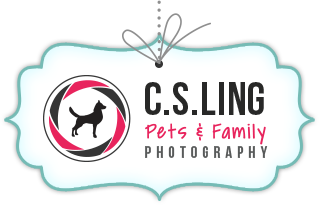 Ling has recently started a pet and family photography studio to capture the perfect images of your pets bonding with you. If you want a family portrait with pets around, you definitely have to check Ling out! TheCatCafe is extremely honored to have Ling capturing picture purrfect moments of our cats. Check out the canvas and posters created by Ling when you drop by TheCatCafe.